New Year’s Eve was very low key for Bill and me even though we got invited to a party about thirty minutes after I signed up for a New Year’s Day race… Sunday evening we went to the party late, stayed for about an hour, and were home and in bed by 11 PM. On Monday morning, Bill and I joined our friends Erin and Kim for the New Day New Year 5K where Bill braved the extreme cold to play paparazzi to the three of us. It was a lot of fun even though it was the coldest race I’ve run. Receiving a blanket after crossing the finish line was amazing and such a genius choice for race swag. I snagged first place in my age group and my prize was a gift certificate to the restaurant where the race was held. I’ve got my race recap posted here on the blog and you can check it out by clicking here. Since I’d raced hard on Monday, I skipped running with my friends on Tuesday morning and headed out for a solo run on Wednesday afternoon. At 29°, it was by far the warmest run of the week. Thursday morning I met my friends at 5:30 AM as snow fell on the frozen tundra where the temperature was 20° with a windchill of 2°. I wore my new Buff (affiliate link) I’d purchased for Monday’s race and even though it was nice to be able to pull it up over my nose and mouth a couple of times when the wind gusted up, that thin layer was too hot against the back of my neck. The real temperatures plummeted to single digits on Friday and Saturday with windchill in the negatives, and when none of my friends were meeting to run on Saturday morning, I ran a 10K on my treadmill (affiliate link). After my run I lifted weights, getting back on my three times a week weight training schedule. Saturday evening we had our tenth and final holiday party of the season – we were invited to eleven. With the parties behind us and the goodies gone from the house there are no more excuses for not getting back into a healthy routine. Cheers to staying healthy and fit in 2018! 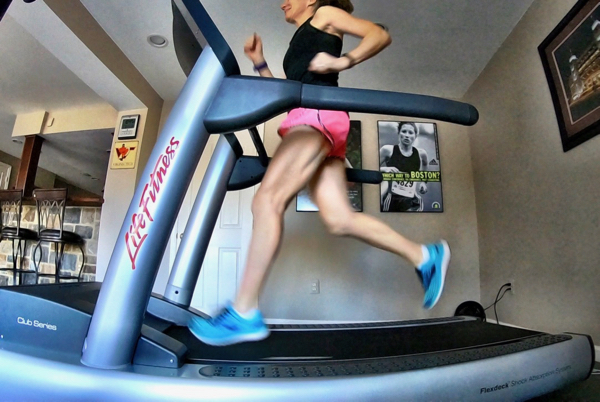 Looking ahead to this coming week, I hope to write my final post on tips to capture optimal running pictures, this one on photo editing techniques. What’s the coldest weather you’ve run in? Have you gotten back into your regular routine now that we’re a few days into 2018? What one thing are you most looking forward to in 2018? Wow! 10 parties? That makes me tired just reading about it! Not to mention all the food! Right now I’m just looking forward to some warmer weather. 🙂 I have run in single digits, but since I haven’t been feeling well & am not training for anything, I am just hunkering down inside for the time being. They say 50 here by Friday too. The dogs still won’t be pleased, all that melting snow (and rain, unfortunately) makes for a drippy, yucky mess. I have a half fanatic buff that I haven’t taken the time to locate (my drawers need organizing!) but buffs are so handy for extra warmth and can be used many different ways. Congrats on your age group win! A restaurant GC makes a great prize! I think the coldest I’ve run in is low 20s with a windchill in the mid teens. Thanks for linking! Well, my coldest run ever had to be last Monday…-20, but I’ve done plenty of other runs near that range, too. Wow, 10 holiday parties! Christmas and New Years is definitely a fun time of year but it’s also fun (I guess) to get back into a routine of sorts. Congrats again on the race and that blanket is awesome race swag for sure! Thanks! And yes, I love the blanket! After the two weeks we’ve had, it’s definitely going to feel like summer! Great job on all your workouts this week! I agree that having a workout routine feels great. 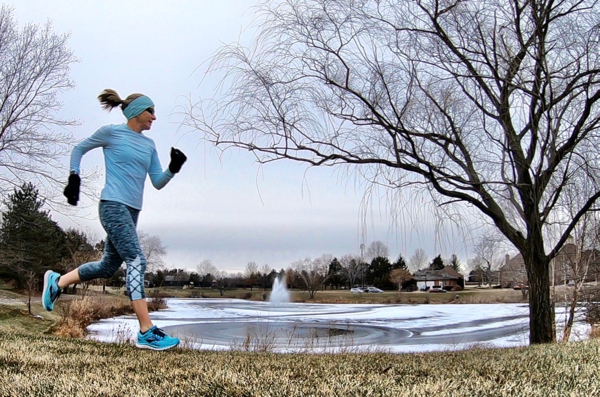 I have a few Buffs that I love for cold weather running. I’m a routine kind of person, too, so I always feel better when I’m back into the regular swing of things. Smart move running inside on your very nice looking TM! Winter is not really winter here in Hong Kong, so I enjoyed two very nice outdoor runs last week. We still have one child visiting, so my routine is not quite normal yet. I hope you’re enjoying your time with your family visiting! You southerners are getting a taste of what we run in all winter! I’m sorry about that! 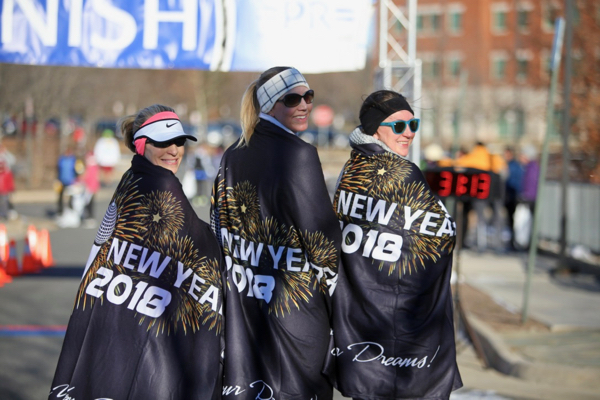 I’d love one of those blankets at the finish line. I sure hope it warms up soon. Yeah, even though it can get pretty cold here in the DC area, we’re getting a taste of extreme cold that we’re not used to! It’s supposed to get up to near 60° by Friday! What a great idea for blankets! I hope they were fuzzy. I really like your rundown infographic of your week! The blanket is not really fuzzy, but it’s still nice! Thanks on the infographic compliment! It’s from a free template I found online. Well, I believe temps in the low 20s is the coldest I’ve ever run in and have no plans of that changing! Kudos to you guys who run in frigid temps all the time! A blanket is a very cool race swag …congratulations on the AG win!! I’m sure it doesn’t take long to lose any acclimation you have to cold weather running. I know it takes me a while each fall to get back used to it! That’s a lot of holiday parties and fun! I think the coldest I have run in is -40.. and surprisingly I was toasty..except for my eyes that kind of wanted to freeze shut when I ran into the wind.. which was also how to get home, so I ran backwards for a mile and a half to get home. Now I wear ski goggles when it it below -20 and that doesn’t happen! That’s really cold running weather and wearing ski goggles is a great idea! Congrats on your AG run for the 5K! I love that blanket. I need to do a better job of finding a New Year’s Day race, they always look like fun! The weather has been miserable in Philly…but the warmup is almost here. I can’t wait! Thanks, Janelle! The blanket felt so good after the race! I have run in -10 but not for very long. This past week, work and life got in the way. I even ran on the TM which I loathe. I am looking forward to warmer temps so I can run longer than 3 miles. I do have a half in March!! I had to run on the treadmill once as well. 🙁 Not fun, but I’m thankful that I have it as an option. Same here. A necessary evil. Well we have been freezing here in Florida, lol but I am guessing most people would love to run here. You have been busy this season. Wow! I’m exhausted reading that you went to that many parties this holiday season. Ugh!!! Here’s hoping this week is much warmer for all of us! My husband and I are very social and had so much fun at most of those parties. There were only two where we didn’t know many of the people there, and one of those was the night before a race so we didn’t stay long. I love that you did a New Year’s Race! What a wonderful way to start the year! That race blanket is genius! Hope you have a relaxing January to regroup after all those parties! Even though it was really cold for our New Year’s Day race, we had a lot of fun just getting together. It did curb my NYE plans a bit, though. Your weekly run-down seems so awesome, Deb! Your routine is so inspiring and motivating! Thanks, Agness! 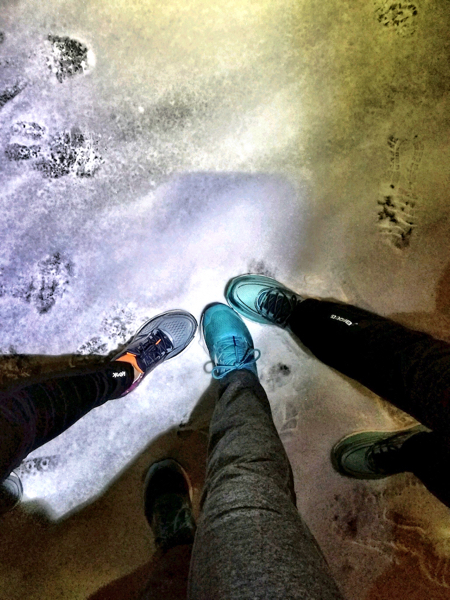 My friends and I meet at 5:30 AM for our runs and I’m lucky to have time between clients to fit my other workouts into my day.